I've had this bin of stuff in the basement that's pretty much been there since we moved in, and before that it moved around with me through various apartments, boyfriends, getting married and finally buying the house. If I were a trust-fund baby, it would be an heirloom cedar chest filled with (use your best Katherine Hepburn voice here) "Mummy's finest linens, Grandmama's pearls and pictures of Poppy from his polo-playing days". Instead, I've got an overflowing plastic bin filled with odd mementos that smell like my basement. I decided it was time to drag it up and see what exactly I have in there- turns out I packed a LOT of stuff into that thing. My high-school diploma, my card certifying that I once learned how to properly swim so that when people see me flailing wildly in a pool I can say it's just my "style" not that I "never learned", A folder full of funny cartoons and such from a very talented, artsy ex-boyfriend, Elementary school yearbooks and such & such. She used to have purple glasses, but I guess I lost those. 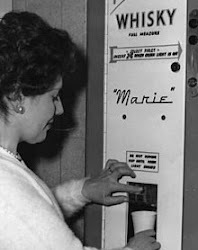 I don't even remember why I have one, as I was waaaaayyyy too old for one by the time suburban moms were clawing each others' eyes out for these things. It has an actual little diaper on, a fact which kept me awake at night more than once. I posed her with my incomplete Girl Scout sash- you will note the baggie of not-sewn-on badges, which pretty much sums up my life. Oh, how I love the pink elephants. What? You don't see them? Just me? And that I cud spele reel gud. I is awwsum. The Polaroid taken when me & Waffle became the 10th grade badminton champs. BOO-YA!!!!! "Arty" dance photos from my freshman year in college. For some reason, these make my skin crawl. But, I still have that vintage nightgown and occasionally drag it out, light up a cigarette, pour myself a bourbon and pretend I'm an aging drama queen in 1940's Hollywood. My name is "Helene-Marie St. Soursnouse", and I can be best remembered for my Oscar-winning role as "Frenchie", the down-on-her-luck Parisian lady of the evening with a heart of gold in the 1931 epic "Where Love Feared to Tread with Angels". If I were ever given three wishes from a magical genie that would appear from rubbing my toilet bowl "just right", one of those wishes would totally be to have my life be like a "Choose Your Own Adventure" book. The other two would probably involve winning the lottery and magical underpants, but that's neither here nor there. I'll dig out more later, once the musty smell subsides. Happy Tuesday, my little adventure-seeking gud spellrs. Happy Tuesday. See the 4 pics of you? I'm calling the one on the bottom right, "C'mon rain! Where are ya?" You make me regret my rampant pitching/anti-clutter habit. Disneyland celebrated their 50th last year. Just thought you'd like to know that. You lived the life I dreamed of: always wanted a Cabbage Patch but we were too poor and I had to wait until I was 36 to see Duran Duran because my mom was strict. Also, I took 2nd place in the Second Grade Spelling Bee but there were no certificates for losers. I had those same glasses. Also, I still have my Cabbage Patch Dolls. I too had arty pictures taken at about the same time and they too make my skin crawl. I do like your "here comes the rain again" pose. I love the dance pictures! Seriously! The only thing I did in my freshman year in college was drink. A lot. You are truly a woman of many talents. And is that from 7 and The Ragged Tiger? That's the tour I saw them on. Wow...my 'word verication' word almost is a word this time. But isn't life already like a Choose Your Own Adventure book? I'm jealous of your vintage nightgown. I want one. My favorite vintage slip died a horrible death recently. Makes me sad. Ah, it's good to see another pack-rat enjoying their long-hoarded memories! I'm a little old to have enjoyed the "choose your own adventure" books but I am looking forward to the post about the "magical underpants" ! thanks for the flashback to geekdom, baby. i HATE choose your own adventure books. you dont read most of the book! LAME! You have Choose Your Own Adventure books! My hero! I like the irony of you getting a certificate for your achievements in spelling when the word "lying" was misspelled (for the sake of cheesy cuteness). And I made a "Choose Your Own Adventure" reference just yesterday at work and it was met with the sound of crickets. Our collective treasure trove of late 70s/early 80s references is why I know you and I can hang. *sigh* I heart you. You are so my quasi-lesbian crush. Damn! Those are the old version of CYOA! I've never seen those covers before. Not saying you're old, you're only a couple years older than me, I mean, well.. Maybe I should stop. Dude. So, so, so super jealous of your going to the Seven and the Ragged Tiger Tour. I BEGGED my mom to let me go (I was 10 or so) and everywhere I turned, it was no. We also have those CYOA. I was obsessed and read them ALL. Have you read "Pretty Little Mistakes" by Heather McIlhatton? It's a CYOA but for grown-ups and it's just as much fun as you remember. My favourite ending was married to my lesbian lover while farming sheep in the Irish highlands and hand making jewelry for tourists on the side. Please to send me the lemon luv muffin recipe?? LOLZ, I totally have that 1981 cookie patch. And mine is also in a baggie. There's some really great stuff in there! Cool,a virtual treasure box of memories! Don't you love going back over all your old essays and school work and favorite crap. I love all of your "flashbacks"!! Still waiting to hear of that one time you danced in the rain in your undies "under the influence"!! 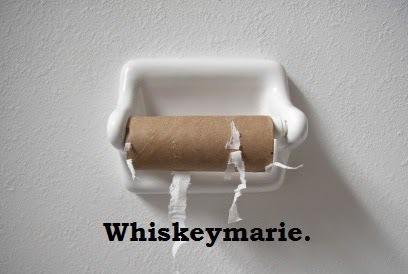 I'll bet it's just as crazy as most other Whiskeymarie junkies have experienced in their foolish youth. Please do share real soon!! I love the artsy dance photos. Very non-clumsy of you! Dammit, that's what I get for being late to comment: Stacy beat me to the punch with the adult version of the choose your own adventure books. I've had Pretty Little Mistakes for over a month, but have been too busy (and a little nervous) to start it yet. Sometimes I think I second-guess my life choices way too much to play a game about it. Then I get over myself and say "Stop being a schmuck." It always works. I loved the Choose your Own Adventure books and totally cheated by looking ahead so I could pick the option that made the story last the longest. I have a nice big collection of Choose Your Own Adventure books. I'm dying to know what my kids will think of them in about 10 years. And the dance photos are awesome! If I choose my own adventure, can I make sure that I never select any of the hairstyles depicted on the front cover?